The Vitodens family is our best selling range of gas condensing boilers. Compact, energy efficient and economical with a reputation for exceptional quality and reliability, they are suitable to meet the requirements and demands of every home, no matter how large or small. Gas condensing boilers are the most popular choice for heating and hot water in UK homes, producing heating and hot water cleanly and efficiently using energy from natural gas. The Vitodens family combines the benefits of gas with the latest in innovative technology to bring you a range of boilers that promise to deliver comfort and convenience today, tomorrow and beyond. As well as superior performance and reliability, Vitodens gas boilers stand out for their user friendly design and ease of use. All of our boilers have been designed with smart technology in mind, helping you save money and control your comfort from wherever you happen to be. With compact dimensions, low weight and quiet operation, the attractively priced Vitodens 050-W is a low-cost gas condensing boiler that does not compromise on quality and will integrate effortlessly into any living space; making it ideal for both new build homes and modernisations. 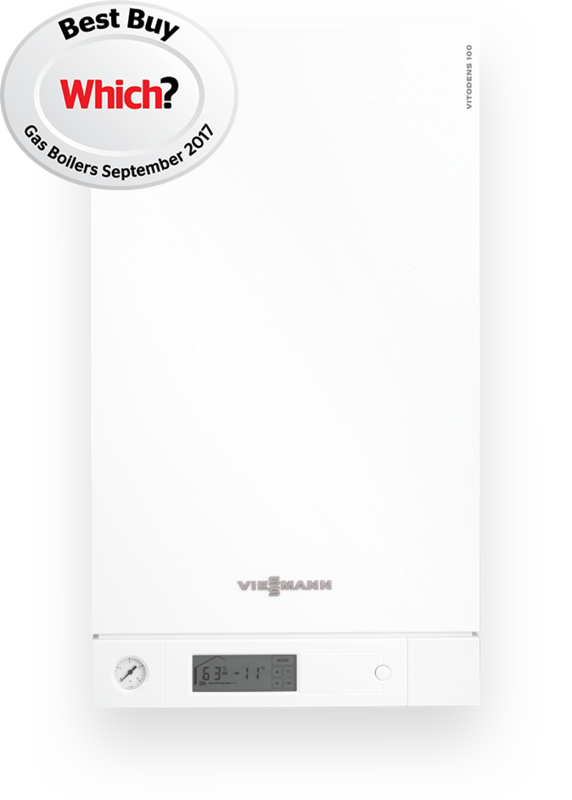 As one of the smallest wall mounted boilers in its class, the Vitodens 050-W is the perfect replacement for boilers in homes with limited space. Combining the advantages of gas with the latest in innovation, the extremely compact Vitodens 050-W promises to deliver cost effective comfort and convenience. It is smart ready, allowing you to optimise your heating environment and save energy costs from the palm of your hand - no matter where you happen to be. Efficient, compact, quiet and affordable, the Vitodens 100-W gas condensing boiler is the most popular solution for smaller and well insulated homes. Featuring innovative technology and services combined with reliability and longevity and comes ready for smart technology, helping you to optimise your heating and save on energy costs. Made in Germany, the Vitodens 100-W boiler is built with reliability in mind; from the stainless steel heat exchanger to the extended modulation ratio which reduces component stress. Our best selling boiler is made to last. Rapid, reliable and compact, the Vitodens 111-W is high performance wall mounted storage boiler for family homes with a high demand for hot water. With its cylinder loading system (CLS) and 46 litre integrated stainless steel storage tank, the 111-W has the capacity to fill a standard bath in just 8 minutes, whilst also supplying a sink or washbasin simultaneously. The advanced sensor technology allows constant output temperatures to be maintained even under high demand. The smart ready Vitodens 111-W features the latest in innovative technology and can be controlled with the optional easy-to-install tado° thermostat and smartphone app. Optimise your heating environment and save energy costs from the palm of your hand - no matter where you happen to be. The Vitodens 200-W is a powerful, flexible and easy to maintain wall mounted gas condensing boiler that is perfect for larger detached and semi-detached homes. Available as a system or combi boiler, the highly efficient Vitodens 200-W boiler is packed with features such as the Inox-Radial heat exchanger, colour touchscreen and the ability to be controlled remotely with an optional app. When controlling the Vitodens 200-W via ViCare or the Vitotrol Plus app, a Viessmann Trained Installer can automatically be notified in the event of a fault. With the capacity to meet the demands of larger and growing families, the German manufactured Vitodens 200-W is built for maximum longevity and performance as well as lasting efficiency. The Vitodens 200-W comes with a large colour, touchscreen display and also supports remote control via an app. When controlling the Vitodens 200-W via the optional ViCare or the Vitotrol Plus app, a Viessmann Trained Installer can automatically be notified in the event of a fault. 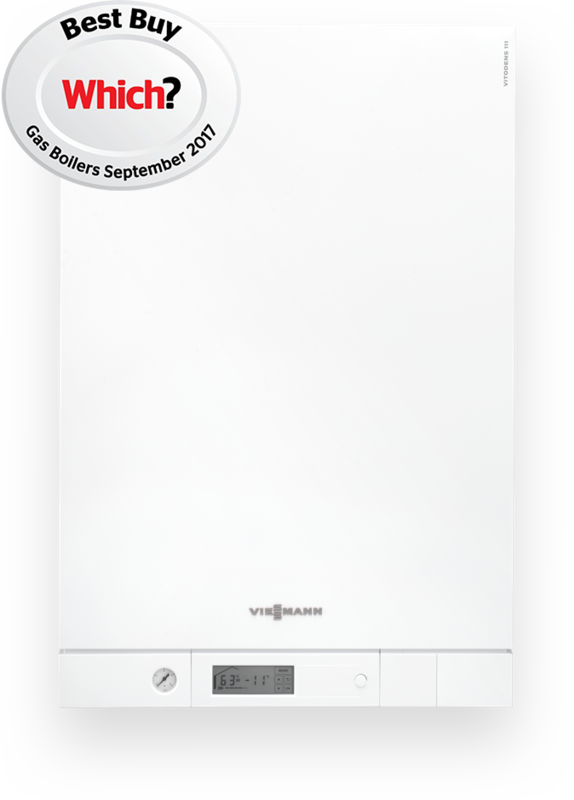 Available as a system or combi boiler - the Vitodens 200‑W is available as a system or combi boiler with an output of up to 150 kW and an integral instantaneous water heater; making it suitable even for the largest of houses, ensuring there is always a supply of hot water where and when you need it.